Zlati Meyer from USA Today explores a minor-league baseball team's decision to stop selling peanuts and Cracker Jacks at its ballpark. The Wall Street Journal's Melissa Korn discusses the problem of blackface on college campuses, both within old yearbooks and at parties today. Cameron McWhirter from The Wall Street Journal dives into the hunting industry's attempts to court new hunters by appealing to millennials. 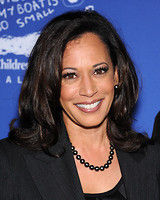 The Wall Street Journal's Julie Bykowicz looks at the increasing emphasis Democrats, like newly-announced 2020 candidate Kamala Harris, are placing on small contributions and grassroots support. American farms are more productive than ever, but they're also poisoning the drinking water of many rural Americans. Jesse Newman from The Wall Street Journal has more. Andrew Keshner from MarketWatch offers some gift ideas for those looking to disconnect from their smartphones and technology. 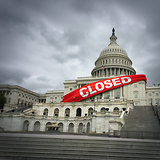 GOP strategist Matt Mackowiak analyzes the government shutdown, including how political optics-rather than policy or substance-is the greatest cause of the impasse. Cybersecurity expert Dr. Eric Cole joins us live to discuss the news that a pair of China-backed hackers swiped troves of personal data from the U.S. Navy and American companies. Jayne O'Donnell from USA Today looks at a recent federal study that shows Americans' waistlines are growing at an alarming rate. The Wall Street Journal's Tawnell Hobbs examines a rising trend in U.S. elementary schools: limiting, de-emphasizing, and even banning homework. Your Apps Are Tracking You. Here's How to Stop Them. 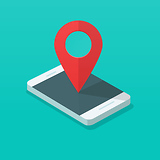 Kari Paul from MarketWatch explains how the apps on your smartphone track your location and collect personal data, even when they say they're not. The Wall Street Journal's Katie Bindley dives into Venmo's spotty record on user privacy issues and how that affects your account.